Jerky’s Spicy Chicken and More has had a rough few months getting the new Center Street location open. Several problems with the building delayed the restaurant’s opening significantly, and now Jerky’s is closed again. Owner John Walker Jr. posted on Facebook that Jerky’s is in a dispute with Rental Realty, which owns the building, over maintenance agreements on the building to keep it up to code on the part of the owner. The restaurant is still closed while the two sides work out their differences. We will update you on this story as we find out more. It was announced a little while back, but the city’s biggest annual food festival has its date set. The 2016 Arkansas Greek Food Festival will be held May 20–22. This is the 32nd year for the festival, which regularly draws more than 10,000 people to the Annunciation Greek Orthodox Church. In addition to serving up Greek food classics, the festival features arts, crafts and ethnic dance routines from around the world. If you take a look outside right now, you can see the miserable weather that forced tonight’s Westover Wednesday food truck meet to be postponed. The trucks will now convene a week from today for the Westover Wednesday Marketplace, which will bring vendors and live music to the party in addition to the trucks. Rarely seen Waffle Wagon is slated to be there, as are popular trucks Katmandu Momo, Beast, Hot Rod Wieners, Kincaid’s Coffee and more. Mylo Coffee Co. has announced expanded hours at its Hillcrest location. Mylo is now open seven days a week, from 7 a.m. until 9 p.m. Monday through Saturday, and 7 a.m. until 7 p.m. on Sunday. Mylo has also added some new coffee beans to its lineup recently, including two from Costa Rica and a Guatemalan variety. Loblolly has released its new spring menu, which is great. Even better? Its adding ice cream flights to the menu. Check out our look at the SoMa dessert shop’s newest additions. There are very few bars in Little Rock that can measure up to the work being done by head barman David Burnette at South on Main. Here, he gives us an insider’s look at his latest creation, The Good Christian. 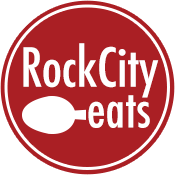 More than a thousand of you cast votes in our annual poll on the best restaurant service in Little Rock. See the full rundown of winners here. And if you’re looking for a good steak dish in the city, we’ve got you covered. 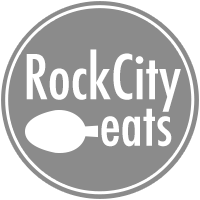 Rock City Eats’ writers have their favorites for you to try. March 16th Three Brisket Dinner – We are partnering with Lost Forty with Lost Forty Brewing for a unique brisket and beer dinner. The dinner features three different styles of briskets from chefs Matt Bell, Ken Dempsey and Scott McGehee. There are crawfish special all over town this month. Find them at The Faded Rose (Wednesdays), K Hall and Sons Produce (Saturdays) and Lulu’s Crab Boil (all week).